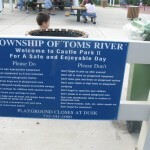 If you are looking to book a party, unfortunately you can’t according to the Toms River website. 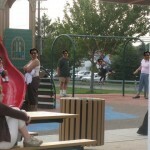 See this link for further explanation. 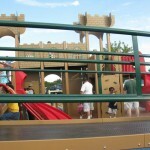 North Bay Avenue & Oak Avenue, Toms River, NJ. 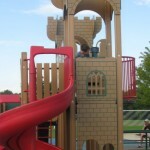 What a great playground, my sons both had a wonderful time. 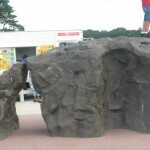 We spent the day at Blackbeard’s cave http://www.blackbeardscave.com/ ($18 for wristband from 12-5pm on sunday) and then came over here for some more play. 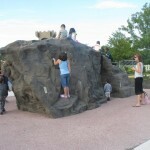 It was a full day and the kids want to go back! 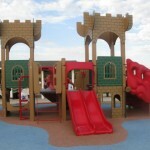 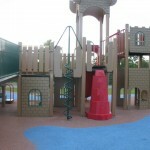 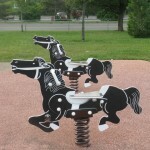 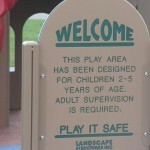 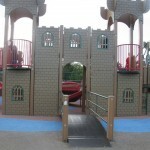 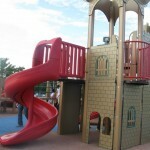 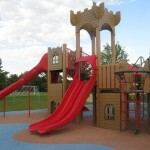 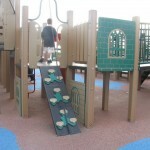 At Castle Park II there are 2 playgrounds, a pre-school age 2-5 and school-age 5-10. 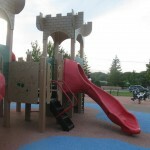 It is a very popular place with tons of kids. 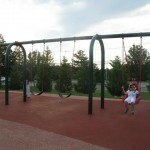 There are 2 toddler swings and more bigger swings. 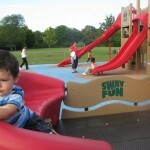 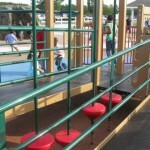 Slides, sway-fun (big swaying apparatus, see pic), and lots of castle structures. 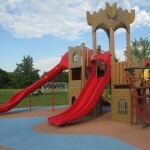 See the pics for details. 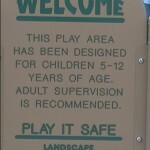 Just checked this playground out today on the way home from a trip to Island Beach State Park (beautiful beaches, shells, boogie boarding) and Seaside Heights (classic trashy jersey boardwalk with rides and great pizza). 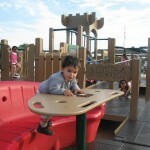 Loved the playground. 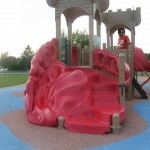 It’s big, clean, and fun with lots of interesting features. 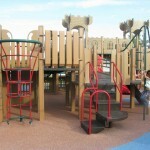 My 5 year old loved not having woodchips. 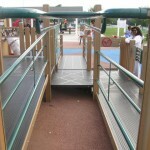 By the way it’s largely ADA accessable, though not tagged that way yet on your site. 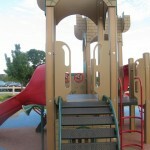 It’s a beautiful park, plenty of equipment and well maintained. 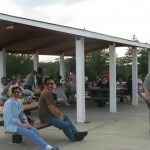 We are interested in going to the park, but we want to know if there are any bathroom facilities?